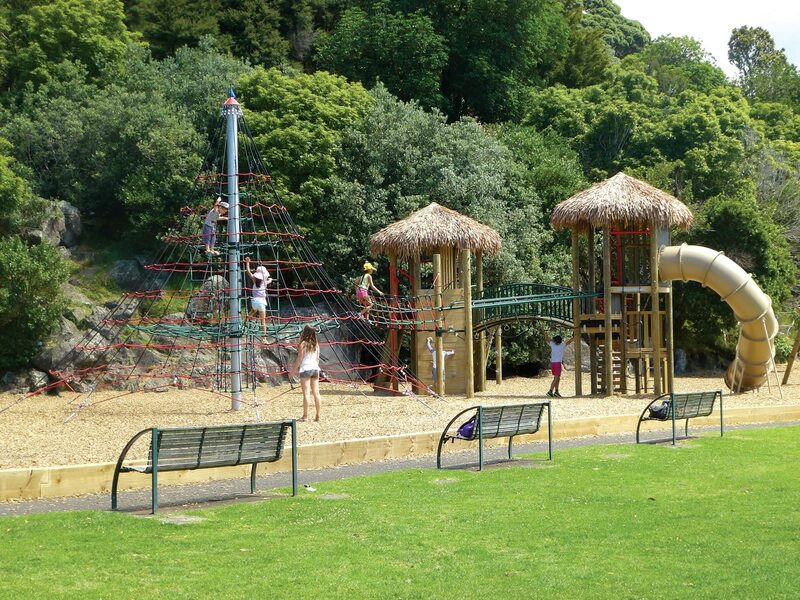 Auckland Council wanted to upgrade this popular children’s playground, which was fairly basic and due for replacement. 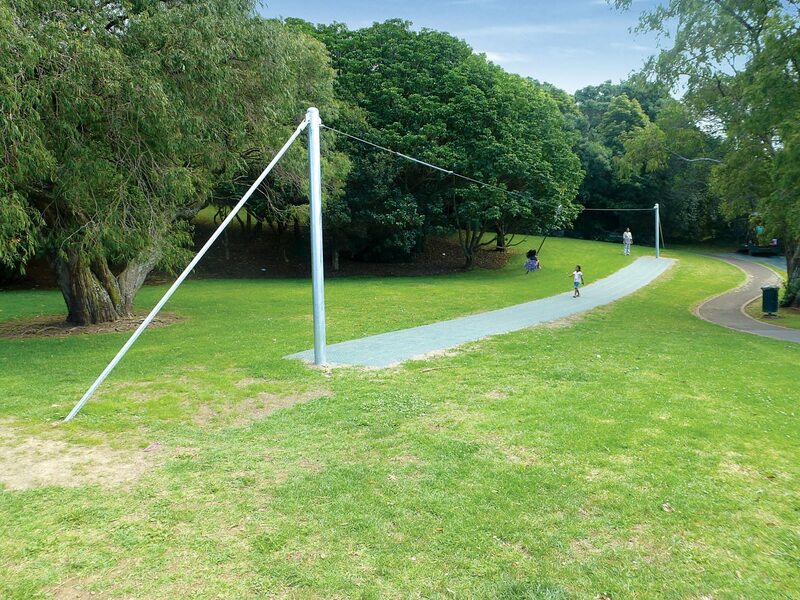 The priorities were safety, design for all ages, fantastic equipment that kids would love, and respect for the natural and historical surrounds. 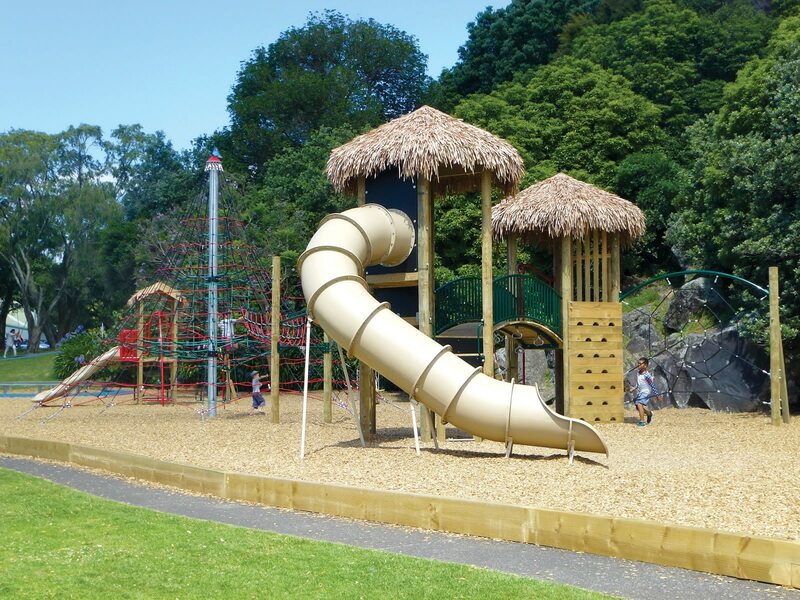 The layout and equipment for the new playground caters for a wider range of ages and abilities, with everything from swings and a push-train for the young ones to a flying fox and a six-metre high climbing net in the shape of a volcanic cone – an appropriate nod to the area – for the older kids. 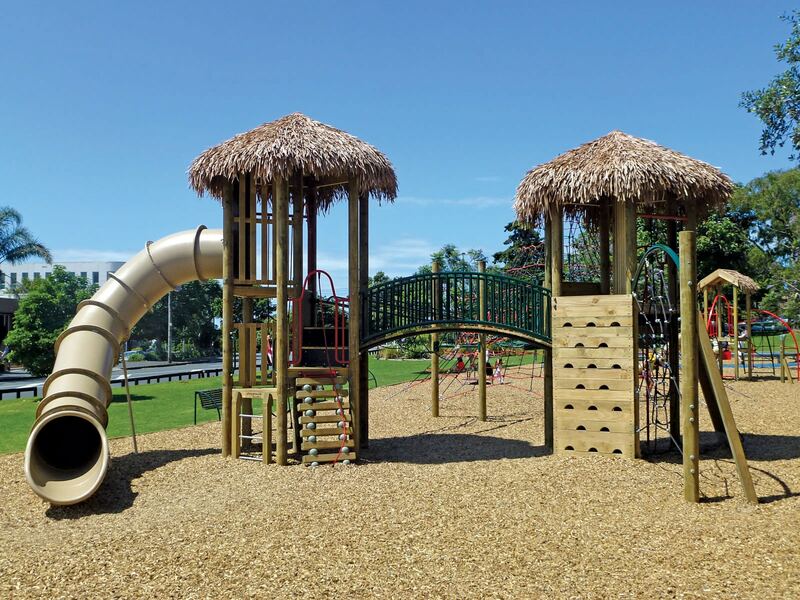 Tribal authorities were consulted on design options and the colour scheme for the new playground to help ensure an appropriate fit with Maungawhau. 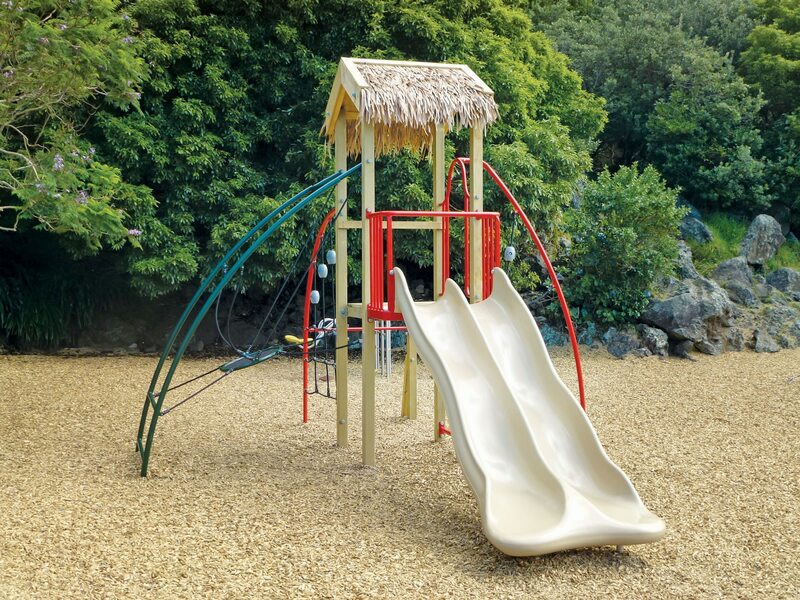 Suggestions included that, where possible, natural colours be used instead of the traditional play equipment colours, wood be used instead of steel, and the covers on the towers have a thatched roof rather than plastic. 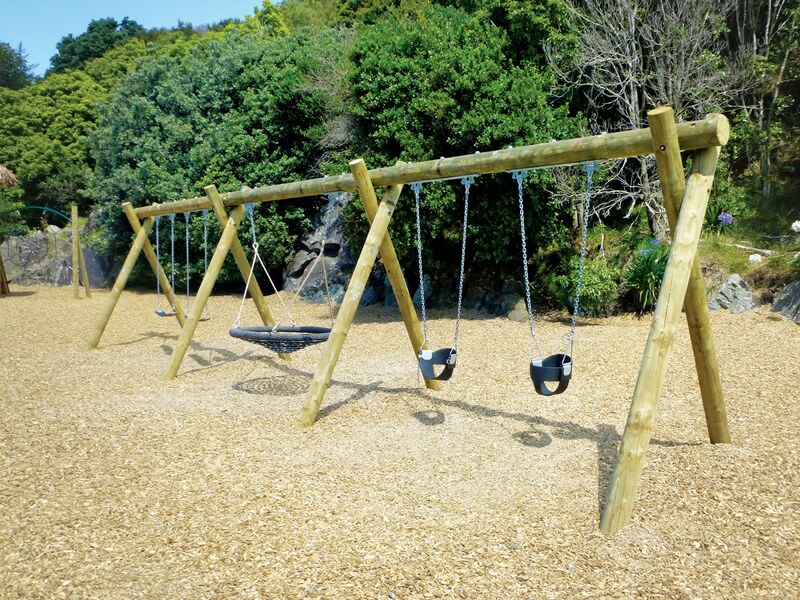 The result is a beautiful, exciting play space that reflects its community and natural environment.